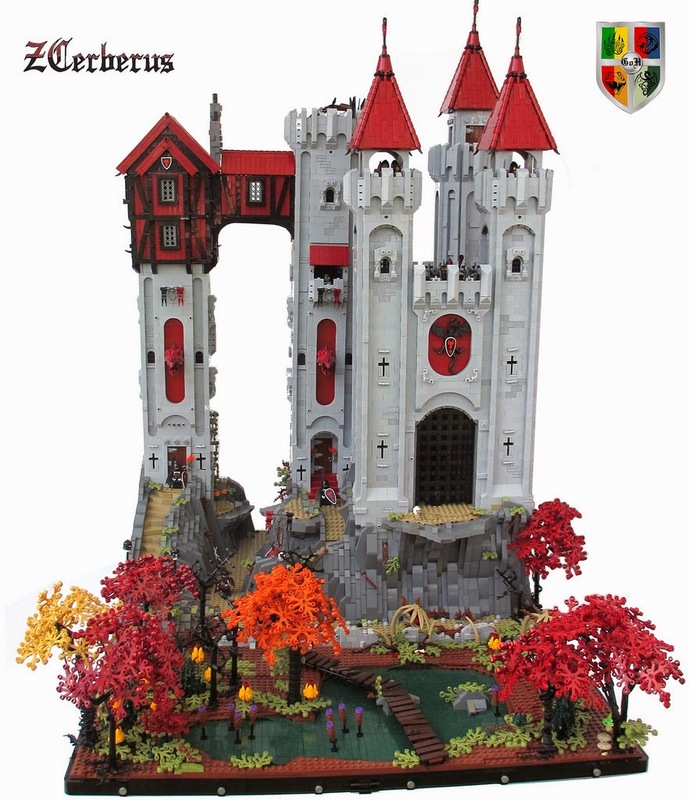 This beautiful castle diorama is built by Eurobricks member ZCerberus who is known for his castle MOC's like Obsidian Spike, Great Gatehause of Albion and many other great castle builds. This diorama is truly exceptional with beautiful landscape in front of the keep. I epecially like the red wooden section of the keep and of course the three dimensional dragon symbols on the walls. The wooden bridge is also really a fine touch. According to the creators comment, this MOC is inspired by the set 6082 fire breathing fortness. You can read the story behind the keep here. This is not a real photograph!